Have you ever thought about using multiple cameras to capture video content? Are you interested in taking your video production to the next level? In this episode of The New Music Industry Podcast, I talk to Will Waters from NewTek, who shares about how to get started with multi-camera video production. 02:05 – How practical is multi-camera video production? 08:47 – What tools or gear do you need to make multi-camera video production possible? 13:39 – How can you create better videos with multiple cameras? 15:57 – How technical is the setup process? 20:48 – What types of content should musicians be creating to engage their audience? 25:53 – How can we market and distribute video content? 28:30 – How important is it for musicians to be publishing video content? David Andrew Wiebe: Thanks for joining me. You may have noticed that I’ve started talking a little bit more about creating video and video content as of late. There’s a good reason for that. You may have even heard that people now spend more time on YouTube than all other social networks combined, which is insane. In this episode, I have a special interview for you. Let’s get right into it. I think you’re going to enjoy it. My guest today is the director of product marketing at NewTek. Here to talk about multicamera video production, I’d like to welcome Will Waters. How are you today, Will? Will Waters: I’m doing well David. Thank you very much. David: Is there anything you’d like to share about yourself before we get into the main questions about camera and multicamera production? Will: I’d like to say I appreciate the opportunity here to talk to so many people. I have a background of music and music production live, in the live element really. Background of live audio mix engineering and doing event production and various things. It came through the time when video was just being put onto the stage. I guess through the 90s and everything. I kind of saw this video thing. Well, it’s not that hard to kind of move in. That took a winding path, I guess into a road of now working for a manufacturer and helping develop product that hopefully solves some solutions. But one of the wonderful things is taking some of those things that have been found in the audio world and applying them to video and kind of like vice versa. Bringing together all for artistic or storytelling experience. David: I have some experience with both live and in studio engineering so hopefully there’s some overlap there and I’ll be able to relate to some of the things that you’re going to be sharing about. A lot of musicians struggle with consistently creating video content let alone using multiple cameras to do it. How practical is it for them to even think about taking the production game to the next level? Will: Well, fortunately, in today’s world of technology things have become – the barrier, I guess, to putting all this [together] has really been removed in so many different ways. Even the things that we’re carrying around our pockets, in these smartphones, the things that you could do from an audio perspective, they also involve these cameras that you can easily live stream to whatever platform, from a social standpoint very quickly and easily. But again, taking that I guess to the next level as far as synching up multiple cameras and putting that all together, there is a little bit of complexity. It’s not nearly what it used to be but there is a little bit of complexity that probably is worth talking about to get around. But it can be done and it can be done pretty quickly. While I wouldn’t say – I mean I guess depending on your thought about what is considered inexpensive. Comparatively, it’s actually much lower cost than it has ever been before. In today’s world, this is something that really you can do that and then, of course, use the internet to get to an audience that in the past was completely unavailable as a musician. David: Yeah. It’s not too surprising to me that it would be cheaper and easier than ever before. I mean especially with computer hardware and really just electronic hardware, in general, we’re seeing prices decrease and go down. We live in an amazing time and we can do so much more than we are able to do before. What are some of the benefits of using multiple video cameras? Why is that something musicians would want to do when creating video content? Will: Well, one of the things is if we just think about or we take a step back away from the technology, and if you just think a little bit about how you interact even in the room or maybe as our viewers – I mean the listeners – are thinking about even where they are right now, you tend to take in this data visually. You would look around the room. You look around what may be happening. We’re taking all these data in at a pretty constant rate. Even if you watch your traditional television or something on your Facebook feed even, your eyes are moving around in that player and they are doing different things at it. If you go to an event. You go down to the bar to watch a live performance, you are going to look at the guitar player. You’re going to see the vocalist. You’re going to pay attention sometimes to the drummer. This is just the natural way that we interact with our world around us. What multicam allows us to do is take and show multiple angles, areas of interest that is… Because you can’t physically be in a particular location, what it allows for is that move around of “Hey, look at this. Look at that over there.” It gives you more… It tells us a more concise and more enveloped story around whatever experience that you’re working with. It enhances something. That’s not to say that everything else is unimportant. You can certainly have a single camera that live streams and you can watch that just fine but there is a certain element of I guess professionalism or you move up that when you start adding multiple cameras and then you start directing or telling a story by moving to the fretboard on a particular guitar solo versus just having the static shot, it brings an area of interest that then is enhanced. It really enhances the audio from a musician standpoint. David: Yeah. Several years ago, I had some video blogs done for me by a professional. He would incorporate some of the narrative or some of my talking along with different visuals and different things he picked up around my house or whatever environment we happened to be in like a live music venue. I love how that kind of helped tell a story. It wasn’t just focused entirely on me or what I was saying. It had to do with my music and my environment in which I was creating my music. I really love that and I like your point about how your eyes are going to follow naturally to different places while you’re watching a band. When using multiple cameras, is it important for musicians to be using the same camera for every angle, or can they mix and match different cameras? Will: Well, that’s a really – it’s a creative decision. Just like if you’re doing a recording, the question I was asked a lot is what microphone did you use or what pickup are you’re working with? I think the real answer to all of that is: What is the right tool for what you want to have? Now, the camera is a capture. It’s an acquiring tool. Cameras have different specifications. They are at good some things versus others. One may have a wide focal lens or a large sensor panel. It may be small and can be clipped on to the end of the guitar you know? There are different things that you can put together. Now, for consistency, there are some subtleties that can be important to pay attention to such as the color. When you have the same camera type then you have a better consistency as you switch between those angles. But again, depending on how you want to tell the story, or what you want to draw the attention to, then the camera choice becomes secondary to the content itself. David: I know that my friend Daniel Guy Martin – who’s a very accomplished guitarist – he used to go around capturing video footage for himself and what he was up to. He would also capture footage not just with his camcorder or video camera but also with his phone to kind of get a little bit of that low-fi footage in there to mix in with the high def stuff. So, I think like you say it’s a creative decision and might even play into your branding and what sort of image you’re trying to project. So, what tools would a musician need to get started with multicamera video production? Will: Well, there’s a lot of different ways you can go about this. But for a moment, let’s make an assumption that we do have audio covered in some capacity or we’re working with that. Then, the second thing to think about is are we going to want to cut these cameras or we want to put this together kind of in a live or as-it-happens, or do we want to go in to a post-processing where we have recorded video and then we marry them up together? So, there is a big distinction as far as what you can do. Obviously, the live element allows for it to be done very quickly and efficiently so that you can produce your quantities of content and get that out to your audience versus a post-production workflow whereas you may be able to add in more effects or pay attention to more of the finer details and deliver something that is very specific artistically. But of course, that is going to take time and effort that you put into. To get started, that’s really the first thing to kind of think about because they are two somewhat distinct disciplines. You can have some cameras that are very good at just capturing. You have that and others that have a very quick response and a video output, if you will, that could then go into some type of system that we typically call a video switcher. There’s various versions to those that you can then switch live. Now, normally that takes someone actually operating that. I mean there are ways to – and some artist out there automate that if you will. Or you can maybe tie it even to a MIDI timeline. If you’re in the electronic world and different things like that. There’s a lot of different options, but that’s kind of the basis, like what is it that you are wanting to do? That live cut quick element, you know get that out and kind of have this live experience or is it post… I guess it’s kind of like being live versus being in the studio, from a musician’s standpoint. David: I think you kind of answered another question I had which was: Does capturing multiple angles make the editing process any harder? But it sounds like that basically depends on whether you choose to have a post-production process or not. Will: That really does, you know? When you’re capturing for post and post-processing, the number one thing that you want to think about is having everything sync up or the ability to have everything together. I mean for instance if you say – I know I’m throwing out different examples here but if you have just a three-piece band like a singer, a guitar player, and a drummer, you don’t want to cut from the singer that has the drummer behind them to a different camera angle that is two or three seconds ahead of time. It’s sync points. There are some ways to do that technologically as far as running a timecode altogether of all the devices depending on if they support it. But sometimes it’s very low tech just as a clap board or even looking at having all three cameras pointed in clapping or hitting a drum stick right on the snare and lining it up with the audio track so that every frame of video is in line or sync up with the audio track. David: Yeah, exactly. Sometimes you can take some creative liberties with the editing process. I mean if the visual doesn’t completely match up with what’s happening audio wise, certainly people who play music may notice, but those who don’t play that specific instrument or the general fan may not notice it and it may actually work as a cool clip in there too. Will: Yeah. They may notice. I mean as a video producer and different things like that, I will say though that there are… Our ears and our eyes just naturally are very… We pick up on things just even… You would maybe say subliminally or subconsciously. We’re very attuned to AV sync just as people. Our ears are very attuned to being able to catch space and various things like that so it is something to be aware of and pay attention to. David: Great. So that is something to look out for. So, just because a musician is using multiple cameras to make their videos, doesn’t automatically make their videos better. What are some things they should be looking out for when capturing multiple angles? Will: Well, capturing multiple angles, again they create… I mean I can give you some things here but then I’ll have someone come along and say “Well, you know, I choose to do it a little bit differently.” That’s perfectly okay. I mean we’re talking some artistry here and some creative elements. The one thing though, even before we get to cameras. I’ll say that the lighting is incredibly important. It’s the most important thing when you’re capturing video of any kind. You can have a poorly lit area like you know, if you think of a face that has no front light to it and shadows. I mean you could even on video sometimes look like a racoon but it’s not just the person. Maybe not having enough light will make your video grainy. You may want that but most of the time we probably don’t. The second thing would be for multicam is good support on the cameras. While there have been some movies and some different things with what we call “shaky cam”, that pulls you out of the content as a viewer. Unless it’s specifically generated for that, it’s good to have your cameras on support whether that’s a tripod or some type of… It depends on what that camera is. Then, from a multicam standpoint, the next thing to think about is what is that feeding into and how are you capturing that? I think that becomes a real important thing. For us here at NewTek, we make professional video products. Of course, we have a product called the TriCaster that allows you to take that video signal from cameras and put that together, but you know depending on your budgets and what particular signal types you have. There’s a whole litany of various solutions that you can go from to either just switch video or to add graphics or kind of do some different things to that. But you know from a multicam standpoint, placement, support, and lighting is where you have to start. David: So, if you are setting up something like the TriCaster, how technical and how involved is that process? Will: Well, there’s a few different things here. We run the range here at NewTek. Our mission, if you will, is really to make broadcast type television. I guess, to you, what maybe becoming a little bit of an older terminology there when you think about television but making television available to the masses. We have products that range from what is effectively you just plug your HDMI camera into this input device and it comes up on screen and you just say okay this camera right now. Then, let me punch the second camera next. 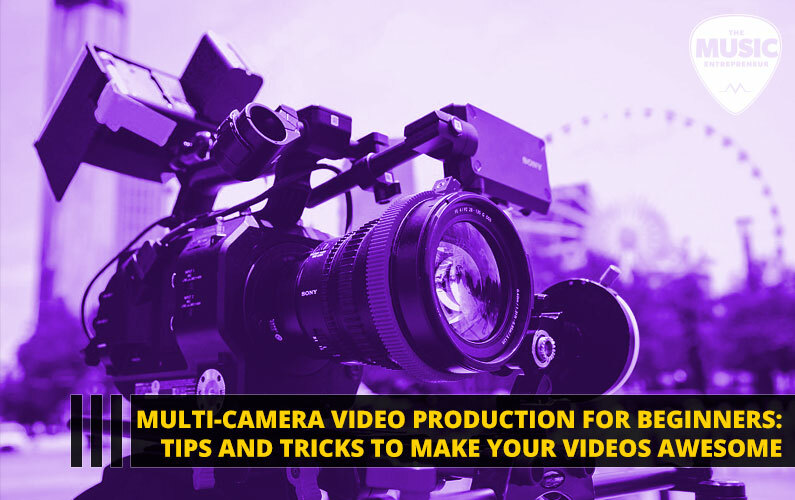 That includes, say, a streaming encoder so that you could send it out to Facebook or to YouTube or to Twitch and do that very quickly and easily and not have to be a video professional, if you will, with lots of experience. Of course, you can continue to move up from there. Now, there’s a lot of products out there that you can work with but it all depends on how much training you want it to work into. What I find is very challenging for people is actually we get into signal flow or signal type and this is actually something you think about “Well, the cable.” Okay. I have a HDMI cable or in video we have SDI, which stands for Serial Digital Interface. It’s a completely different type of cable than what you normally find in your house but it looks similar. These are very confusing things. Unless you’re an insider, or maybe do a lot of internet research, it can get quite confusing. You say, “Well, why don’t I have video here?” or “I plug my particular device into this.” It’s kind of like, I guess if you think about your TV and if you ever had to take that HDMI cable and plug it into what source. Is my box and my Blu-ray player on the right source? I mean we have all those things to deal with. Well, what NewTek has done and this is something that we’re continuing to push forward to is that we made this realization a few years back that there is this network. You and I are even talking via the internet right now and our listeners are listening via the internet or a network if you will. Phones are connected. Our TVs are connected with Smart TVs and all these different things. What that allows for is basically a fabric that you can move signals back and forth with. NewTek has released this technology we call NDI. That stands for Network Device Interface. What that allows for is a network that even a lot of people have in their house can then move that video around without having to necessarily start worrying about being frustrated with signal type and cable type and resolutions and handshaking and the things those that are in the video world has to basically battle on a constant basis. David: I think one of the things about… I mean it’s great to be able to live stream possibly even better-quality video than some people are doing out there. One thing I noticed is it almost works flawlessly every single time or close to every single time if you do it from a mobile device, but if you try to do it from like a web cam or another camera source, your internet connection becomes a really important factor, is that correct? Will: Well, yeah. I mean network and bandwidth are always factors. It happens on a cellphone but fortunately because you have basically in many ways a dedicated connection if you will, that you pay for on your cellphone, you usually don’t worry or have to worry about it in the same way that you would in your house. Because well hey, someone may be streaming Netflix in the next room while you’re trying to stream in your studio. So, you know, you’re using a shared connection versus something that may be corralled or cordon off for specific purposes. That’s really the thing to think about there. It’s not that… In many ways, your connection at your home if you have broadband generally can be more stable than your phone, but you have to think about things like your Wi-Fi. Is there enough bandwidth there? Or again, do you have five or six different videos being watched just by people around the house or what you have in that capacity. David: Yeah. Absolutely. So, in your opinion, what types of content should musicians be creating to engage their audience? Will: Oh well, I think that there’s all kinds of content that – what we find is that – that’s really hard to quantify because from a viewing standpoint, if we just think about how things like what the internet and streaming has been able to do, it’s effectively created a scenario where you have an individualized channel, if you will, that is great for your taste. YouTube will continually serve up videos based off of your history that is meaningful to you. So, from a musician standpoint, it depends on what you want to do. Do you want to educate? There’s a lot of tutorials that people tend to do. Sometimes it’s just artistry because they have a particular technique or sound that is unique to you as an artist and you have a particular following that you want to deliver to. I think that best thing is to deliver that out. I mean people find interest with what I would consider to be honesty or openness. Whatever a person creatively delivers. There are whole sections and categories now say on Twitch.tv which generally is thought of as a gaming community, but there’s a creative element to that where musicians can then start sharing and collaborating in a live way with people in the chatrooms, so that it becomes interactive. And you build a fanbase doing that. I mean that’s just one example. I mean there’s actually hundreds of different platforms that you can stream to but as far as the content goes, I think the key thing is to generate content and do that often to build an audience. David: Absolutely. That’s a really great point. I’ll also add I think experimentation. You could try vlogs or lyric videos or maybe even acoustic cover type videos and maybe see what the audience responds to most out of what you’re doing. Maybe if you have contact with them you’d have a bit of an idea of what they are looking for as well. Will: That’s a great point. Just to say on that, I think a lot of people and especially… I mean this is kind of a human thing, right, where you say if you’re creative you kind of have this picture that you did in your minds somehow and you need to have all of these things lined up because it needs to meet your standard. As musicians, I think this is something we can all identify with a little bit. The thing about it is, if you wait to have every single thing right in your video show, especially on a live stream, well, that’s just time that you’re not building your audience. My suggestion, and what I found those that are successful tend to be the ones that just kind of bulldoze through that. And again, content often. Maybe they started with a single camera. Then they moved to multicamera. Then they add their lights. Maybe they will upgrade their camera after a while. They’ll put in a different type of video switch as they learn and they do. But you know, every day that you wait is one day that you really have given up on a particular fan base or particular audience awareness or different things like that. David: Yeah, I couldn’t agree more. In the last couple of days, I didn’t really know I was going to be doing this. It just so happens that I couldn’t really sleep and ended up waking a little earlier than normal so I ended up recording kind of these vlog style videos about spirituality and life. The whole point is I am getting started and getting it out there. It’s not perfect. The first two videos, I didn’t even use a mic. Now I’m using my mic and my webcam again so it’s just going to be better quality video. But the whole point was to start publishing content related to some of the other things I was writing on my blog. Will: That goes a long… I think things go hand and hand because there has been some thought – well, YouTube for instance. You’re just going to find the cat video that’s walking across the piano and who cares about the quality? Well, quality does make a difference because that tends to rise to the top after a while but you’ll never make that quality without starting and getting and doing. It’s the experience that comes along with it. It’s really like technique on your vocal technique or you know, doing scales on your fretboard. You’re going to do that over and over and over again. Over time, suddenly you’ll be an overnight success or you’ll be a master at the instrument because there’s a lot of experience that has gone along with it. David: It’s so true. I mean you could probably look at any content creator and go back to their first blog post, first podcast episode, first video and see that. Yeah, maybe they didn’t exactly know what they were doing just yet but they found their voice through constant practice, so I like that. We know there are a lot of YouTube channels out there with great content that don’t necessarily get a lot of love. Do you have some thoughts on how musicians could be distributing and marketing their content to get more eyeballs on it? Will: Certainly. Part of that is building the base. Building the base. An organic thing is tough. You’ll find a lot of marketers, and a lot of companies, and a lot of different ones out there that will sell you on your fast track if you will. Ultimately, when I talk to our customers on a professional side, frankly, and those that I do see as being successful, it really comes back to this idea of just getting started. You can build that. This maybe gets into something that… You learn over this time though is that consistency of release or just pushing content is something that is just a requirement. For instance, I talked to a lot of people who say… In fact, they are very successful but then there may be a little darker side that comes with it where “Okay. I’m not feeling well today. Maybe I don’t want to do that video or I want to go to the 4th of July family trip and different things like that.” And they come back and suddenly they lost a few thousand subscribers or something because unfortunately it is a very… Live streaming can be a very fickle thing as far as audience consumption. If I could give any type of advice without – okay. What marketing dollars do you spend and do you promote your video and you actually pay YouTube for advertising or Facebook for a featured post and all that. I mean those are different things that you could or couldn’t do but it’s the consistency of delivery and continually having something new for your viewership that’s really what expands on an audience in the video streaming world. David: Yeah. I couldn’t agree more. I mean generally you get started, you start publishing for six months to a year and you should start seeing a little bit of traction at that point. Then it can really begin to pick up if you stay steady for the next six months to a year again, giving it full two years to see where it could take you. But yeah, that’s where a lot of power in regular publishing and consistency comes in. Video is huge right now. I recently heard that people spend more time on YouTube than all other social networks combined. Now, I don’t want to create any FOMO for my listeners out there, but how important do you think it is for musicians to be publishing video content right now? Will: Well, I think that it’s… Again, it comes down to the sooner you do it the more opportunity you have over the long term. It’s building a catalog. It’s building a base. You know that’s just something that happens over time. Does it have to be perfect? Obviously, we all have our own standards. We want to be able to meet some of that but that should be tempered with what can and can’t be done. As we know, there’s a lot of musicians now that have actually found the voice or found the platform in the traditional business, if you will, traditional industry because of what they were able to do on a streaming platform like YouTube. Really what it comes down to though is because we are all connected via the internet, the internet is a constant… It’s on 24/7. It’s a constant platform that you can perform and deliver content or creative ideas to an audience at any time. You can take advantage of that. How important is it? Well, that’s up for you as a producer to determine but if it’s something that you want to grow and you want to gain an audience [with], I think it’s pretty significant as far as just the way the people communicate. David: This has been a really great conversation, Will. Is there anything else I should’ve asked or is there anything we missed? Will: I think for a musician doing everything, if I could just say just get started. Just try different things. I mean it could be as simple as starting with your cellphone and just going to YouTube or going to Facebook or frankly Instagram Live or Snapchat. Twitter has a whole new live streaming that they just announced a few months ago. There are just so many different platforms that you can get out with. I think what you may find is that artists… again getting feedback. Now, the internet can be tough. I guess that’s the thing that I would want to leave everybody with. The internet can be raw sometimes. The thing is, you’ll always find someone who will attempt to discourage you but you just got to move on and keep going with it. Ultimately, it’s a good thing. David: Absolutely. There will always be people who don’t agree with your perspective. Well, this has been really great. Thank you so much for being on the show and for sharing about multicamera video production as well as the products that you offer that make that possible for musicians. Will: Thank you so much. It was enjoyable.